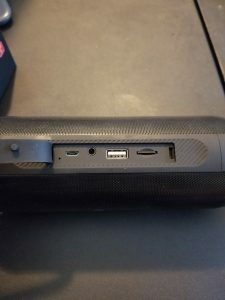 RPB25: the worst sounding bluetooth speaker? I haven’t written a tech review in a while, so it’s only fitting, that I inspire all you bots with my technical prose and invaluable insight once again. 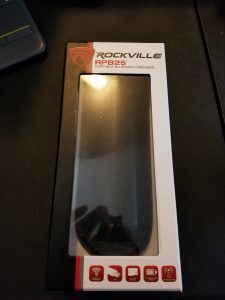 Today, I’m reviewing Rockville’s RPB25 portable bluetooth speaker. Compared to the popular JBL Flip 4, the RPB25 should actually have better sound quality than the JBL Flip 4 since the RPB25’s noise ratio is 85db vs. the JBL Flip 4’s 80db (higher is better). But the JBL Flip 4’s frequency response is 70hz to 20khz which outclasses the RPB25’s 150hz to 20khz. The radio doesn’t work, as in there is no reception. If I attach my usb charging cable to it, somehow, the speaker gets reception and can pick up a couple radio stations. 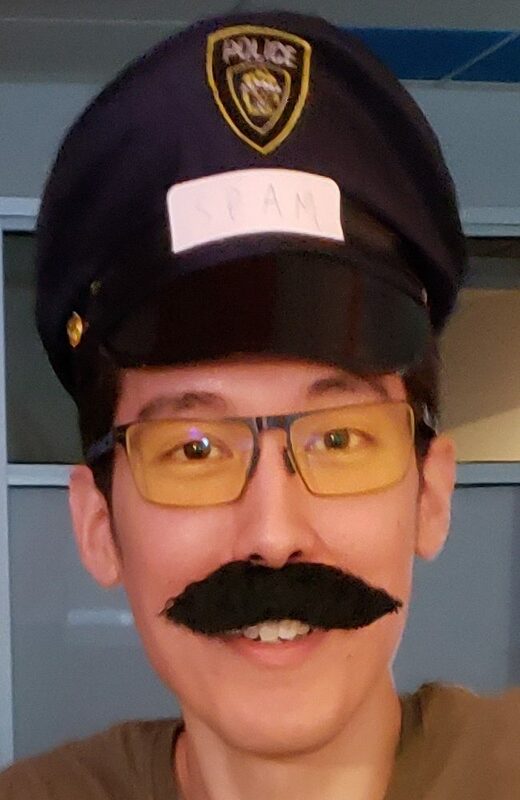 As soon as the spealer starts playing, one is immediately greeted by a noticeable white noise that remains throughout whatever you may be playing; music, ebonics, youtube, cat videos. It’s really annoying. The SD card feature will play roughly only 15 minutes of a song before looping back to the beginning. Ok, maybe I’m being a bit harsh. Afterall, I’m no audiophile. 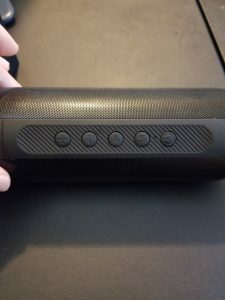 Heck, my experience with bluetooth speakers is limited to youtube reviews and pressing the play button on all the displayed speakers at Walmart, by the way, all of which sound better than this one. Maybe the RPB25 has a great UI and is easy to use. Nope. Everytime I turn on the speakers, it defaults to 70% volume which is fairly loud, and blares, “POOWWARRR ON!” in a voice reminiscent of the purple-haired, social justice warrior, pokemon-hat-thing-wearing type of person who cuts in front of you at starbucks. Navigation consists of holding the “M” button at which point, said obnoxious voice blares out every mode until you reach the one that you want: “MUUSICC MOOODDE!” “RAYYDIOOOH!” “BLOOOO TOOOTH!” Why can’t I just press the button and go to the next mode immediately? I guess this is the part where a responsible reviewer would provide sound clips of the product side by side with its competitors. But no, I’m not going to mainly because I’m too lazy. Secondly, these speakers sound bad and I don’t want to potentially negatively influence my SEO with crappy sounding content. So what should you buy your unloved ones for Christmas? I’d highly recommend Rockville’s RPB25 portable bluetooth noise machine.